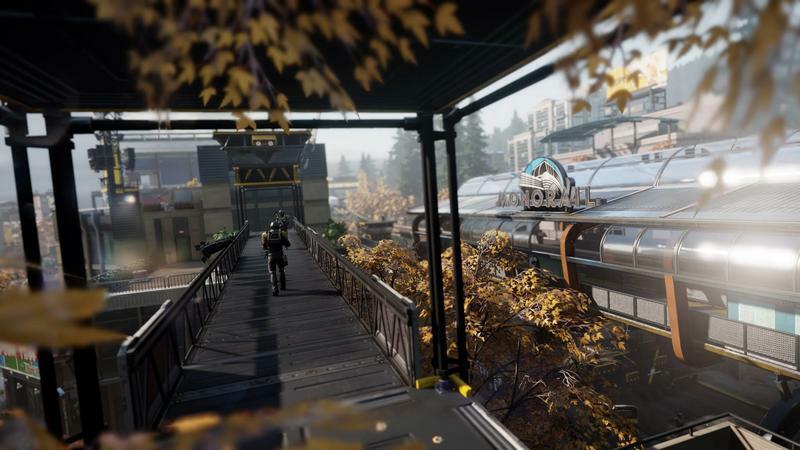 inFamous isn't the first franchise people bring up when they talk about PlayStation exclusives, but it has been a steady, reliable favorite since the original hit back in Spring of 2009.
inFamous: Second Son hits on a new system with a new protagonist, set for the first time in a real city instead of an obvious but fictional analog city. 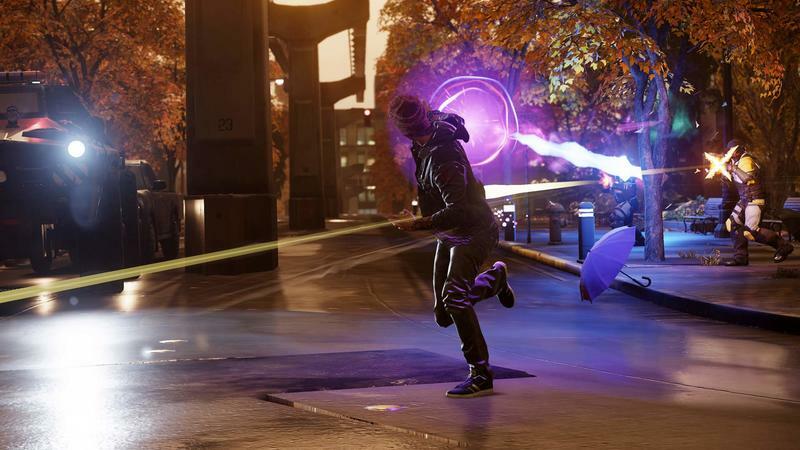 With Cole McGrath out of the picture at the end of inFamous 2, regardless of which path you chose, inFamous: Second Son introduces us to a new protagonist, Delsin Rowe, whose life is interrupted when an escaped Conduit unwittingly imbues him with superpowers. 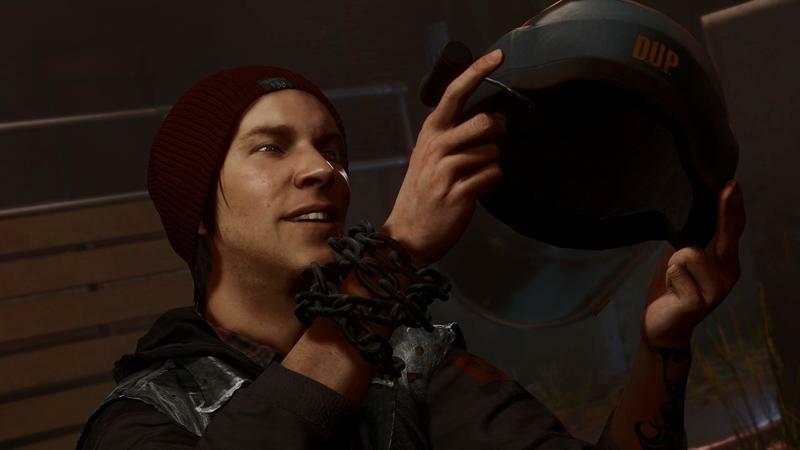 This leaves him a target for a government organization tasked with hunting down dangerous bio-terrorists like Delsin and the smoke user he picked up his gift from. Even worse, it leaves many members of his tribe crippled from interrogations. Delsin goes on a quest that will save his tribe. He heads to Seattle, Washington. 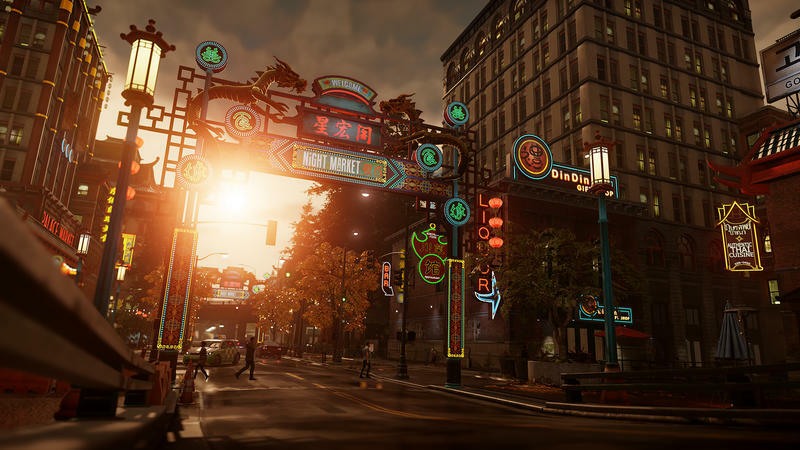 It's been a long time since a game's visual fidelity mattered, and in the case of inFamous: Second Son, Sucker Punch made it one of the big draws of the title. To put it shortly, Second Son is a great looking game. Everything about the game absolutely glows, sometimes literally. Despite Seattle's reputation as a grey, rainy city – and it does rain – Sucker Punch has spared no effort in finding and incorporating every color the city has to offer. 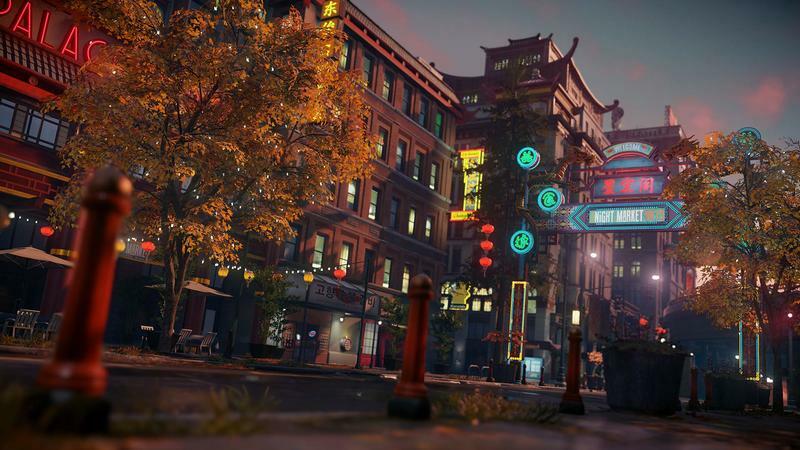 Second Son feels like it takes place mostly at sunset and at night, as the story progresses, and this especially highlights the city's color, both reflected and radiated. 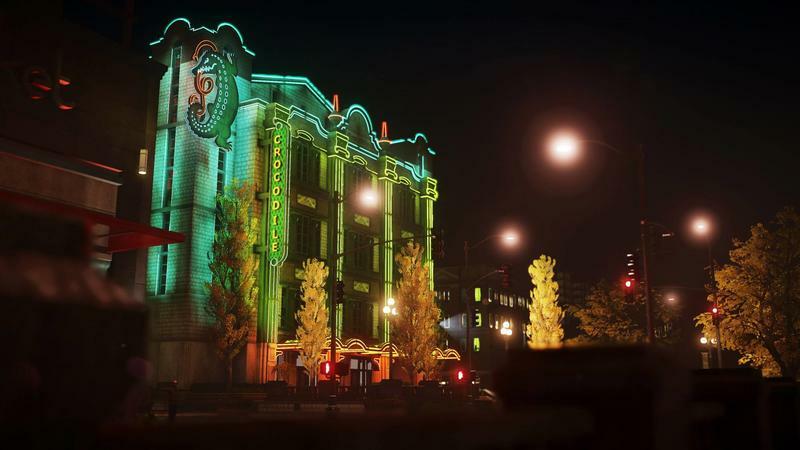 During the daytime and sunset hours, Seattle offers up architecture, fauna, and signage, while nighttime highlights the abundance of neon lighting we usually look over, the general ambient lighting of the city, and even the cars moving back and forth as you zip around the two chunks of city on display. Just navigating the city is a pleasure to start with. Then we get to start stacking Delsin's powers on top of that. The initial power, Smoke, already looks great. The smoke has volume, and cinders fall off when you zip up through a roof vent or fire of a few shots. The second power is the real standout, though. The story moves the game to nighttime when you pick up the Neon power, and the moment you pick up the power to indefinitely dash with neon almost makes the game worth picking up on its own. The only downside is that, as you get into the story and the side missions, it's easy to start missing out on the sights. Don't let it happen. Seattle is beautiful, and Sucker Punch did a great job delivering it. 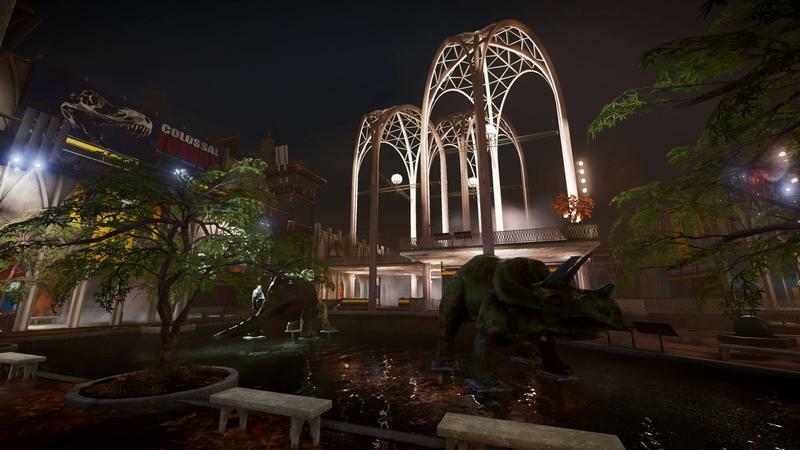 One of the downfalls of the series, though, has been with the main character, Cole McGrath, not being too interesting and the writing not really supporting him being anything other than a – pun intended – conduit through which the player can experience the game. Delsin is a huge improvement in this respect. He's a more interesting character than Cole ever was right from the beginning. Some people might find is rebellious punk attitude off-putting, but Second Son does a good job of incorporating his worldview into the activities and writing. Delsin Rowe is a member of a Native American tribe, and his connection to the tribe provides the impetus for his journey to Seattle alongside his brother Reggie. Sucker Punch does well incorporating this background into the game without forcing it. I could imagine the game – a game where any kind of superpower is possible – banking on this background and looting it for animal and nature powers, like an update to the corny BraveStarr cartoon I barely remember from the late 80s. Instead, it provides the character with a worldview, a history, and a goal to pursue without it feeling like a cheap co-opting of local history. 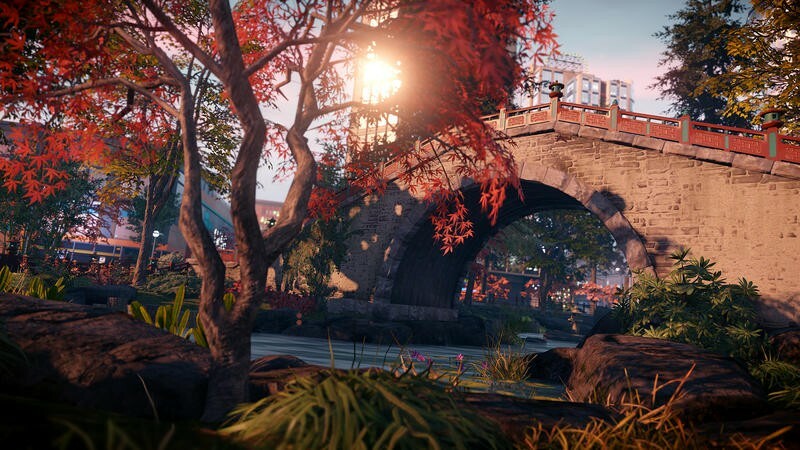 The women of Second Son are fairly well written as well, with motivations of their own, each formidable in their own right. The antagonist, Augustine, is a complicated person whose motives become deeper the more you learn about her. Presented as some sort of fascist oppressor at first, there's more to her than it seems. 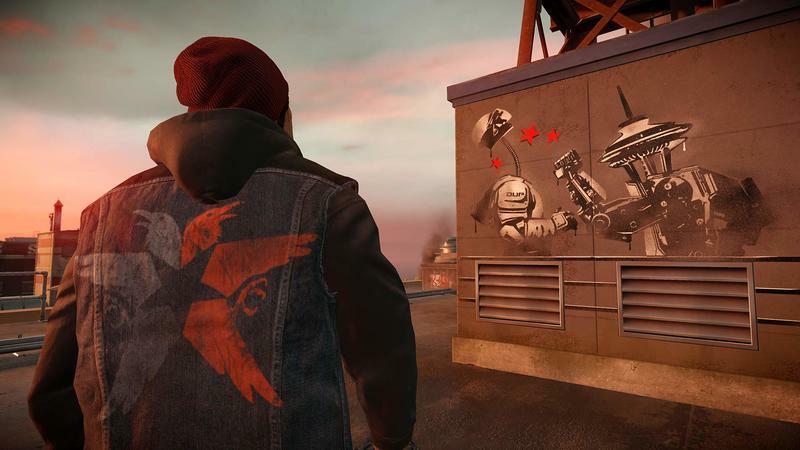 Fetch, one of Delsin's allies, isn't there to be rescued, obtained, or as a reason for revenge. The visual fidelity is worth mentioning again, here. The facial animations help all these characters become that much more believable – even more so for the characters with some life experience and lines in their faces to match. 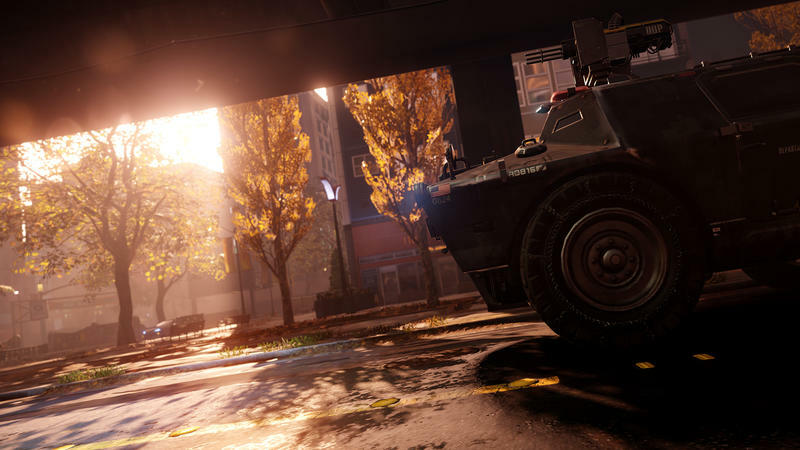 All of the speaking characters in inFamous: Second Son look and feel human and never drop into the uncanny valley many other games have fallen victim to. None of this would matter, of course, if Sucker Punch hadn't made this game a blast to play. Fans of the series will find a lot of familiar stuff here, but the change of scene and protagonist gives new fans an entry point into the series. Familiarity will augment your experience, but those new to the series won't feel like they're missing anything. Smoke and neon powers are both fun to use and, while similar, have different play-styles that are going to push players to one or another depending on the situation. There are two other powers introduced later in the game, though they aren't quite as interesting as the first powers despite each being cool in their own right. Most of the side missions do a good job of giving you opportunities to use these powers. One interesting decision, though, was to use the motion controls inherent to the DualShock 4 controller for a graffiti minigame. 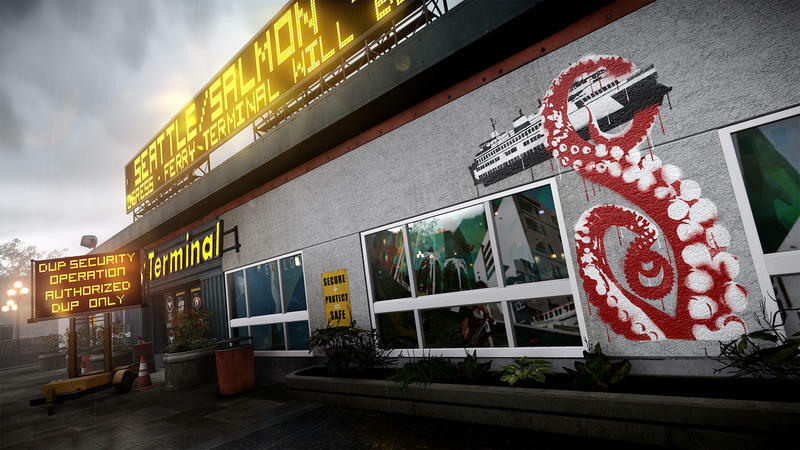 Delsin is Seattle's own Banksy, dotting the cityscape of Seattle with stencil-sprayed political statements and jokes. These sequences require you to turn the controller on its side and shake it up like a spraycan, holding down the trigger to fill in the cardboard stencils before you. The motion control for these is suspect at best. The resultant art is fun to see, though, and if the controls are too aggravating, the events are entirely optional after the initial tagging sequence. Second Son also capitalizes on its strengths by making combat about precision (if you go the Good route as I did), and downplaying the climbing elements seen in previous inFamous titles. 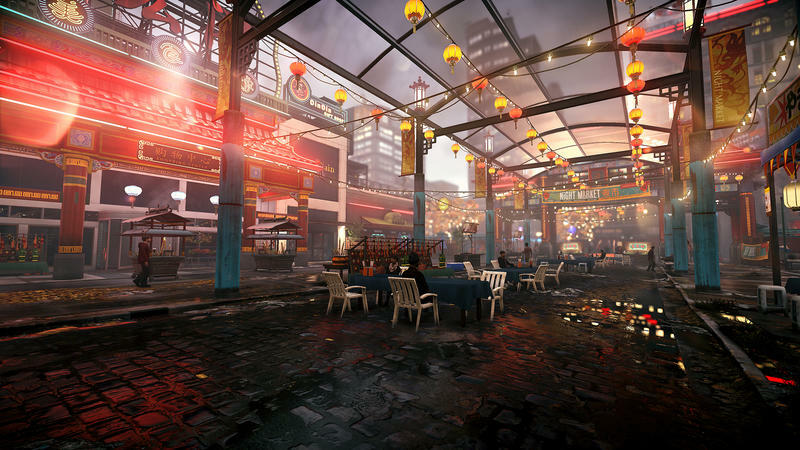 Smoke lets you zoom from ground to roof level in one button press, and neon's superspeed lets you run up and off buildings. The climbing controls are still there, but they're so rarely used as to make their skittishness barely worth mentioning. I'm glad I had my PlayStation in time, because inFamous: Second Son might be the first platform exclusive to make the system worth buying. With regard to the decisions that make you famous or infamous, as the title suggests, they're as binary as ever. Witcher this game is not. Each decision is presented as good or evil, blue or red. You know what you're doing, guaranteeing that you don't lock yourself out of possible powers. It might not be an especially nuanced, but it helps keep the game moving and kept me from being wishy-washy about solutions. I'd like to see the series maybe go down the neutral route in the future, but the clear binaries actually work in this case, and even though you know you're going the good path, the way the story draws that out is still interesting and often surprising. It took me most of a month to find a PlayStation 4, but inFamous: Second Son was always on the list of games I wanted to be ready for. I'm glad I had my PlayStation in time, because inFamous: Second Son might be the first platform exclusive to make the system worth buying. 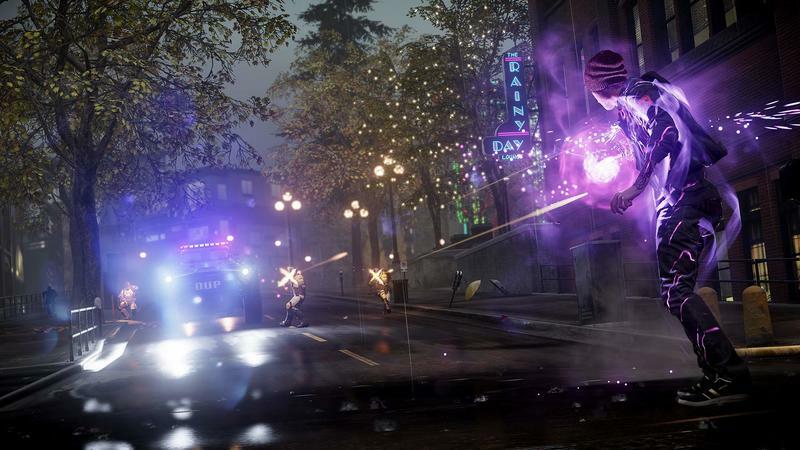 We purchased inFamous: Second Son with company funds. We completed the game before writing this review.